I agree wholeheartedly with your points above. We just started looking at this book at my school as well. 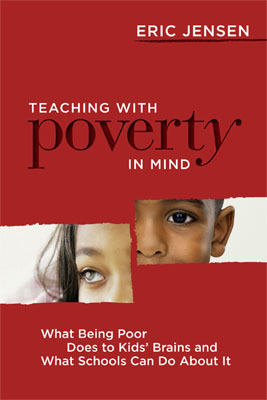 I really wonder how to bridge the gap between our students' lives at home and their expectations for success at school. One of the discussions we had revolved around how to teach to students who are struggling with poverty and hold them to the highest expectations as well as help them feel safe, well fed, cared for, etc. Our district is currently piloting a pay-for-performance model that employs a strict rubric to "grade" teachers for evaluations and the possibility of bonuses. We are under more pressure than ever before to push kids to meet standards and often get "dinged" on our evaluations if we aren't on the pacing guide or teaching the "right" thing at the "right" time. How does helping kids become productive citizens through character education fit in? Where does feeding them breakfast and understanding their home situation fit in? I have a lot of questions too as you can see! I am interested to hear what others have to say as well. I am also looking forward to reading more of the book. Thanks for writing about such an important topic!